A novel by a non-binary transgender author is one of 16 books in contention for the Women's Prize For Fiction. 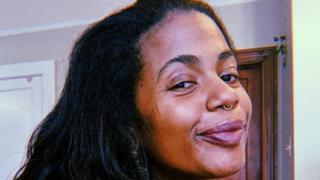 Nigeria's Akwaeke Emezi, who does not identify as male or female, is the first non-binary trans author to be longlisted for the £30,000 prize. Freshwater, their debut novel, tells of a young Nigerian woman who leaves her homeland to live in the US. It is one of seven debut novels to make the list, which will be whittled down to a shortlist on 29 April. The winner of the prize - formerly known as the Orange Prize for Fiction - will be announced on 5 June. Also in the running is Milkman by Ana Burns, a coming-of-age story set during the Troubles that won last year's Man Booker Prize. Last year's Women's Prize For Fiction went to Kamila Shamsie for her seventh novel, Home Fire. Other titles on the longlist include Circe by US author Madeline Miller, who won the prize in 2013 for The Song of Achilles. Another coming-of-age tale, Sally Rooney's Normal People, makes the longlist having been named Waterstones' book of the year in November. The Women's Prize for Fiction is awarded for the best full-length novel of the year, written by a woman and published in the UK by any woman writing in English whatever her nationality or country of residence. Previous winners include We Need to Talk About Kevin by Lionel Shriver, Zadie Smith's On Beauty and Small Island by the late Andrea Levy.